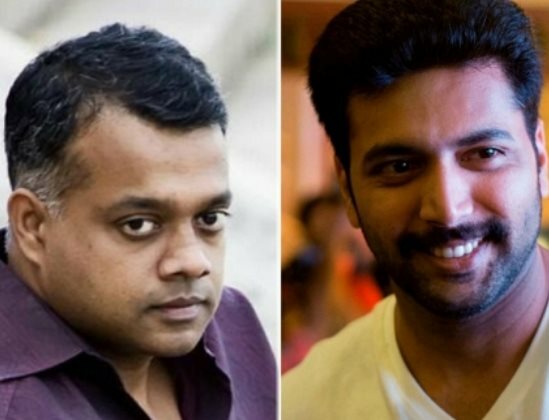 As per the latest buzz, director Gautham Menon is likely to team up with the Thani Oruvan actor Jayam Ravi for his next film. The director who is currently busy with the upcoming film Achcham Yenbathu Madamaiyada with STR seems to be continuously signing up future projects. Though other future projects have been declared officially, this upcoming project with Jayam Ravi is yet to be announced. While Simbu plays the protagonist in the Tamil version, Nagarjuna’s son Naga Chaitanya plays the lead in the Telugu edition. It was said that Gautham Menon might do a film with four South Indian superstars together, but now we hear that he would apparently direct Jayam Ravi for his next film. On the other side, Jayam Ravi has already signed up a project with Suseenthiran which will start rolling soon. Stay tuned!